It happens commonly when you jailbreak your iPod touch, it reboots but get stuck on the Apple logo. No matter you turn your iPod touch on and off, you're always stopped there, continuously. When you connect it to the computer and want to sync it with iTunes, it will remind you that your iPod touch is in recovery mode, and you need to retore it so that you can get out of it. The big problem is that you can't lose your data on it. Then how can you fix it? In fact, it's so hard as you think it. Just keep your shirt on. Restoring is one of the solutions. The easiest one is to find a great helper like Wondershare Dr.Fone (Mac) or Wondershare Dr.Fone for iOS (Windows), which can let you get your iPod touch out of the white Apple logo by 1 click, no matter you use iPod touch 5 or iPod touch 4. 1 click to fix "iPod touch stuck on the Apple logo screen"
1. After downloading and installing the program, launch it on your computer. 2. Connect your iPod touch to the computer. Then you'll see the window of the software below. 3. 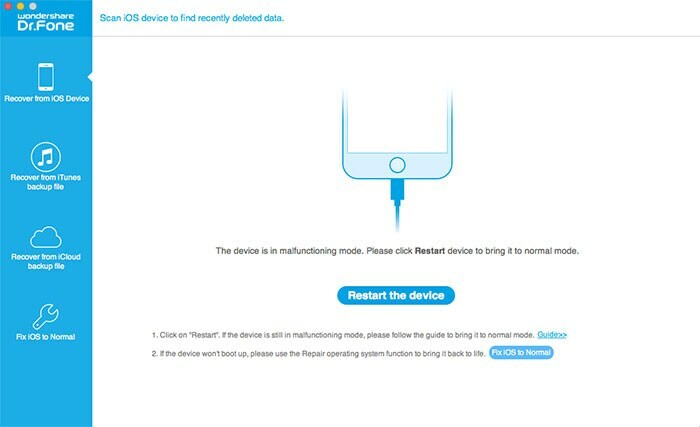 Now click Restart/Set Up on the window to restart your iPod touch. After a few seconds, your iPod touch will be back to normal as usual. That's all. 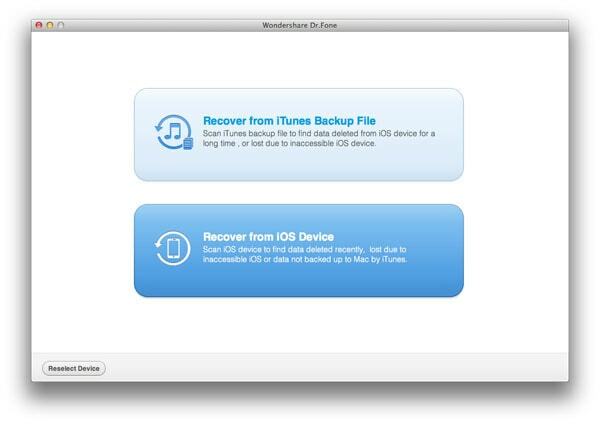 Additionally, Wondershare Dr.Fone for iOS (Windows & Mac) allow you to recover lost data from iPod touch without affecting your existing data on it. Want to have a try? Follow the steps below now. 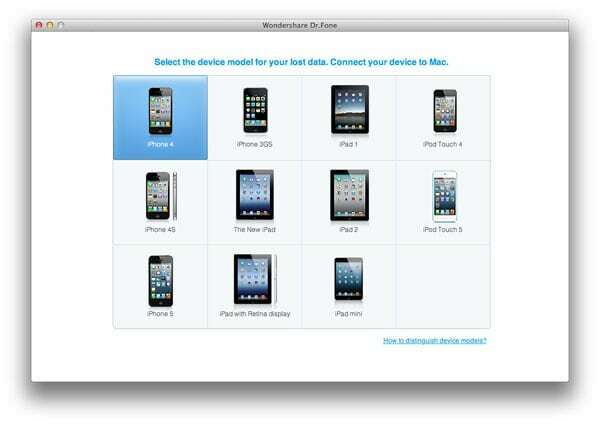 On the main window of the Wondershare Dr.Fone (Mac) (let's take this as an example), you need to choose a device model of yours first. Then you'll be here: two recovery modes for your choice. 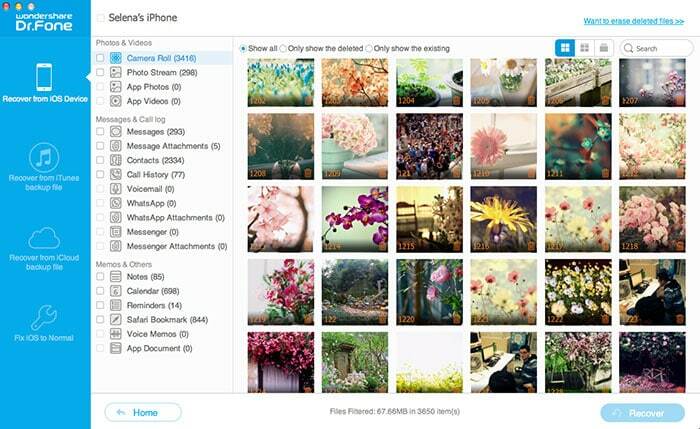 You can choose to recover data directly from your iPod touch or from the iTunes backup. Just choose one and continue (let's choose the first one here). If you use iPod touch 5, you'll see the window below. 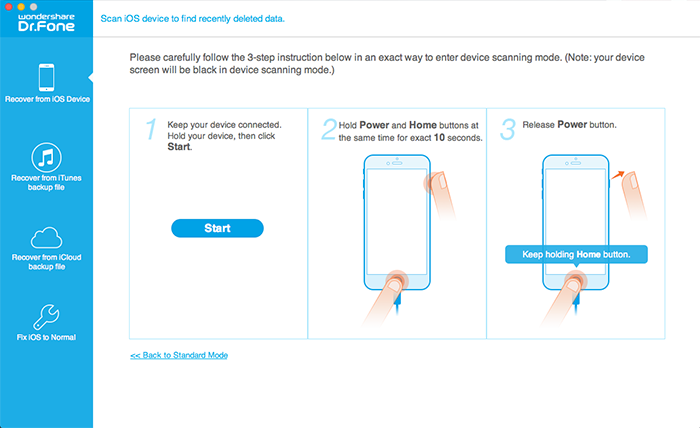 Click Start Scan to begin scanning your iPod touch to get lost data from it. 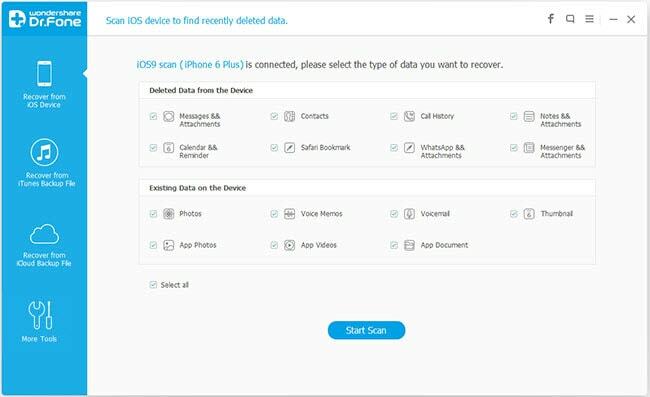 When the software stopped scanning your iPod touch, you'll get a scan report where all data on your iPod touch are found and displayed in categories like camera roll, photo stream, contacts, messages, etc. You can choose to preview them before recovery. Then mark those you want and click Recover to preserve them on your computer. Note: Data found here contains those deleted and those currently existing on your iPod touch. Both of them have their own color.